Register or sign-in to gain access to our list of the latest legal jobs in the fashion and beauty industries. HUGO BOSS is one of the leading fashion and lifestyle companies in the premium segment with around 14,000 employees worldwide. As versatile as we are, we share a common goal: we want to inspire people with our work. We are looking for a new team player who would like to do something in a dynamic, international environment and advance things. In doing so, we attach great importance to an open and appreciative feedback culture, individual development and further education opportunities as well as a good work-life balance. A highly motivated team of experts, with flat hierarchies and of course a lot of fun at work, looking forward to you! YOOX NET-A-PORTER GROUP is the world’s leading online luxury fashion retailer. The Legal team are now seeking a talented Commercial Legal Counsel to join the team. 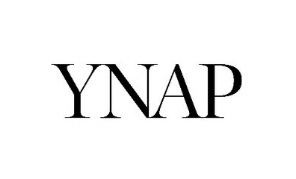 You will provide support to the YNAP global business and our various international subsidiaries. The legal counsel will support the Head of Legal and the existing commercial legal team. Drafting and advising on a variety of commercial agreements, such as marketing and PR agreements, event sponsorship agreements, competition T&Cs, supply/purchase contracts, services agreements, venue hire agreements, influencer and talent contribution agreements, brand collaboration and non-disclosure agreements. E-Commerce work, including advising on regulatory requirements, website design requirements, transactional website requirements, website terms and conditions, consumer law issues, etc. Data protection work, including advising on data protection principles in the context of GDPR, information security requirements, direct marketing rules, online behavioural advertising, cookies, etc. You must complement the small, dedicated, collaborative and passionate, existing in-house team, currently made up of the Head of Legal, a mid-level legal counsel and a legal PA. This role will report into the Head of Legal. A good team spirit and a practical and commercial approach to problem solving are essential. To view the full job description and/or to apply for the role, please click on the Apply button to be redirected to the Third Way platform in order to log in or create a new account. River Island are looking for a confident and commercially minded lawyer who thrives on working in a fast-paced business and is passionate about the fashion retail sector. Summarise and effectively communicate complex legal concepts to stakeholders within the business at all levels; be flexible and intuitive in all communications. Work closely with the IT and ecommerce teams to assist with the evolution of our omnichannel offering and advise upon new technologies and inherent risks. Review a wide variety of commercial contracts across all other areas of the business including marketing, wholesale, logistics and retail operations. Assisting the procurement team with the drafting of tenders and negotiation of contracts with suppliers of other goods and services. Reviewing and negotiating terms and conditions with manufacturers of our products and associated materials. Keep abreast of the regulatory framework in which River Island operates and keep management and the relevant departments informed of upcoming issues which may impact the business. Be familiar with the principles of the forthcoming General Data Protection Regulation and assist with our implementation programme and ongoing compliance. Help review and support ethical conduct and legal compliance programmes. Assist with ongoing and regular reviews of standard form documentation across the business. Assist with the development and implementation of education and training programs on topics where staff should be aware of the legal background or context. Advise and assist technical teams on product safety issues, including product recall. Deal with customer complaints in relation to consumer law, discrimination, product safety and product defects. Draft agreements and review terms and conditions with consultants, 3rd party agencies, PR companies, performance marketing and other creative providers. Review and advise upon all printed and online promotional material; advise on sales promotions; provide practical, legal risk analysis. Understand and advise upon the regulatory framework surrounding brand advertising including a working knowledge of the CAP code, trading standards issues and the policies of the ASA. Advise generally on topical legal issues such as product placement, comparative advertising and celebrity image rights/endorsements. Draft and negotiate sponsorship agreements, design collaborations, content agreements and other forms of arrangements with celebrities and brand ambassadors. Understand the legal issues and be able to advise upon the use of and interaction with all forms of social media. Assist with IP litigation disputes involving design rights, trade marks, copyright and other connected rights issues. Provide practical advice and commercial risk analysis to the design teams and the buying teams across all departments with regards to the legal implications around designing products in the fashion sector. Advise on global brand security strategies, anti-counterfeit measures and supply chain security. This job description is not exhaustive and you may be required to carry out other duties as requested. BA or LLB from a top college or university. Trained and qualified at a reputable law firm. Between 3 and 4 years post qualified experience, in a legal capacity, in a commercial environment preferably with an emphasis on IT / digital media. Be passionate about brands and wanting to work for River Island. Ability to interpret the law and apply it in the context of the commercial objectives of the business. Hard working, well organized and able to manage numerous projects simultaneously under deadline pressure. Be pro-active and show initiative at all times.A confident, can do attitude is required at all times. Excellent communication skills, both in writing and in person. Common sense approach to work. Capacity to have fun and enjoy work is essential. We are looking for a bright, hard-working, extremely organised and conscientious individual with good communication skills and the ability to work under pressure. Reporting directly to Senior Legal Counsel (Corporate/Commercial) or the Senior Legal Counsel (IP/Commercial), there’s a lot of opportunity with this role to get involved in legal work across extremely broad areas. We see this as a long term role, and one we would like the individual to grow into and shape as they develop. This is an opportunity to join a highly regarded team within a successful and dynamic company. 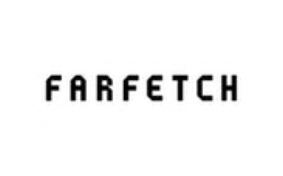 The legal team at Farfetch is continuing to grow in order to support the Group now and through the next phase of its ambitious plans. Reporting directly to the Principal Legal Counsel (Commercial/IP), you will enjoy an extremely broad role, delivering high quality legal advice and services across multiple operational territories in conjunction with our wider international legal team sitting in Porto, Moscow and Shanghai. You will be drafting and negotiating a broad range of commercial contracts including SaaS agreements, software development agreements, media content/subscription agreements, logistics agreements, talent agreements, partnership agreements, sponsorship agreements, event agreements, NDAs and digital marketing agreements across the group, including for the “Store of the Future” and “Black & White” Farfetch business divisions and for Browns. You will be working with the Legal Counsel (IP/Commercial) to maintain and update template agreements and group IP policies. You will be supporting the Legal Counsel (IP/Commercial) with all IP matters (contentious and non-contentious) across the globe, including implementing Farfetch’s brand protection strategy. You will be working directly with the Marketing teams (offline/online) in relation to their marketing initiatives and projects. You will be supporting the integration of acquired businesses into the Farfetch group. You will be managing and working with external counsel and trade mark agents as appropriate. You will be supporting the business on ancillary matters such as ad hoc project work related to the ongoing growth of the business. This is a highly visible and exciting role in a growing and dynamic team. This role will be ideal for a junior commercial/IT/IP lawyer looking to branch out in-house into a more business focused role. Be an English law qualified lawyer with 0-2 years’ PQE as a commercial/IT/IP lawyer. Some data protection knowledge would be beneficial. Have excellent private practice training and hands-on experience from a top tier law firm. Have some prior in-house exposure, perhaps in the form of a client secondment. Possess excellent communication, negotiating and drafting skills. Be passionate about fast moving consumer-led technology businesses. Be driven, forward thinking, robust, innovative and agile, with commercial acumen. LOCATION: London, United Kingdom POSITION: Full-time, February 2018 Position Now Closed. River Island are looking for a confident and commercially minded lawyer who thrives on working in a fast paced business and is passionate about the fashion retail sector. The Legal Counsel will provide direct legal support to the General Counsel and also the Company Secretary across a broad spectrum of legal and commercial issues. Manage IP litigation disputes involving design rights, trade marks, copyright and other connected rights issues. Draft cease & desist letters, advise on dispute strategy and settlement options, instruct and manage external legal providers. Assist with the management of the international trade mark portfolio, including the provision of advice on registration strategies as well filing and managing oppositions. Pro-active management of extensive domain name portfolio, devising strategies to deal with problems, taking direct action to seek recovery from cyber squatters, updating the business on developments in the law. Advise on global brand security strategies, anti counterfeit measures and supply chain security. Support the brand’s international business; advising on franchise agreements, licensing deals and joint venture vehicles. Reviewing a wide variety of commercial contracts across all other areas of the business including IT, logistics, marketing and retail operations. Advise the marketing team on the legal considerations and consequences of brand campaigns, domestically and internationally. Draft consultancy agreements and review terms and conditions with 3rd party agencies, PR companies and other creative providers. Draft and provide advice on model release forms, media buy outs and image rights in general. Review and advise upon all printed and online promotional material; advise on competitions; provide practical, legal risk analysis. Draft and negotiate sponsorship agreements and other forms of arrangements with celebrities and brand ambassadors. Help review and support ethical conduct and legal compliance programmes; assist with ongoing and regular reviews of standard form documentation across the business. Assist in development of and compliance with privacy principles and practices. Deal with customer complaints in relation to discrimination, product safety and product defects. Assist the business with compliance with data protection legislation. Provide the retail teams with day to day legal advice on the consumer laws relating to the sale of goods in store and online. Assisting the HR department with advice on both contentious and non contentious employment issues. Managing a junior member of the team. Between 4 and 6 years post qualified experience, in a legal capacity, in a commercial environment preferably with an emphasis on intellectual property and in-house. Be pro-active and show initiative at all times. A confident, can do attitude is required at all times. LOCATION: London, United Kingdom POSITION: February 2018 (Maternity cover) Position Now Closed. The position contemplates a full-time activity related to the field of Corporate Governance at a WW level. Manage mapping of structure of power and Corporate Governance key elements. Good interpersonal skills and capability to team working. LOCATION: Florence, Italy POSITION: January 2018 (Maternity cover) Position Now Closed. Act as Chief Legal Counsel for Global Company (including international subsidiaries). Oversee the company’s global legal affairs, including wholesale, licensing, real estate, retail operations, employment matters, intellectual property, environmental sustainability, and corporate compliance and governance. Advise on contractual interpretation, negotiations, and litigation (and/or risks associated with it). Oversees: (i) associate general counsel, (ii) compliance director, (iii) senior manager sustainability; and (iv) administrative assistant. Responsible for setting legal budget, which includes both internal personnel and external resources. Budget responsibility also includes trademark and anti-counterfeiting expenses. Involved in risk management assessment and litigation avoidance. Work Experience: 15+ years of legal experience (including significant large law firm experience and international experience). Prior in-house experience required. Creative and/or founder-based company experience a plus. Substantive skill in contracts, employment, privacy and corporate and governance skills important. LOCATION: New York, United States POSITION: December 2017, Full-Time Position Now Closed. Liaising with Group and external counsel on compliance projects such as data protection; corporate governance, Group reporting etc. Assisting the general work of the department to provide support to the business. Please note that although we have tried to give you an indication of your responsibilities, this is not an exhaustive list of your duties and you may be required to carry out tasks that are not included in this job description. A strong ability to balance legal and business objectives. Some background in Intellectual Property and another European language is an advantage. LOCATION: London, United Kingdom POSITION: November 2017 Freelance /Contract-Interim (Maternity cover) salary unspecified). Position Now Closed. Karla Otto is looking for a bright and enthusiastic law graduate/trainee to join our growing Legal Team, based in our London office. This is a fantastic opportunity for a junior professional eager to develop their career and to gain hands-on experience in a fast paced legal department within the luxury fashion and beauty industry. An opportunity has become available for a commercial lawyer to join Stella McCartney, based in London. This is a newly created role reporting to the General Counsel of the brand. A minimum of 3-4 years post qualification experience and UK qualified as well as a commercial and pragmatic outlook will be ideal for this role. Proven project management skill set. Flexibility to work in a fast moving business. Proven commercial and pragmatic approach when advising on and assessing business and legal risks. Strong work ethic and the ability to work with team members both within the brand and the wider Kering Group. Excellent inter-personal skills to work with all levels of the Stella McCartney business. LOCATION: London, United Kingdom POSITION: March 2016, Full-time (salary unspecified). Position Now Closed. 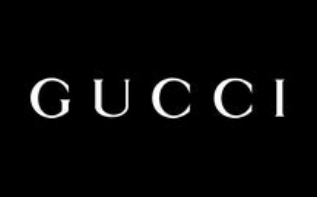 Richemont are looking for a part time Intellectual Property (IP) Legal Counsel to provide specialist IP Legal advice to THE NET-A-PORTER GROUP. LOCATION: London, United Kingdom POSITION: Full-time (salary unspecified). Position Now Closed.